Hiking up Big Dominguez Canyon yields many spectacular views. 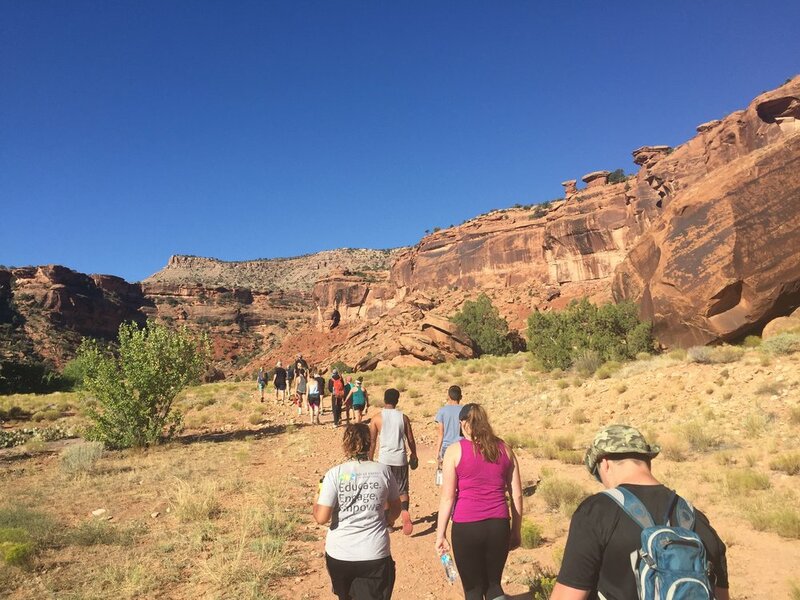 Hike into the rugged red rock wilderness of Big Dominguez Canyon to learn about the history and geology of this storied part of Dominguez-Escalante National Conservation Area. Our day long adventure will include visiting some delightful petroglyph panels, exploring a perennial waterfall, and learning about the flora and fauna of the canyons. Moderate seven-mile hike.